Chairman Robert Klein of the California stem cell agency is proposing that the Obama administration provide loan guarantees that he projects would allow the Golden State to mount an ambitious $1 billion lending program for the biotech industry. He broached the proposal at a Nov. 19 meeting of the Finance Subcommittee of the CIRM board of directors and plans to bring it up at a special teleconference meeting of the full board on Monday. Klein's plan would double the size of the proposed $500 million CIRM loan program that is his brainchild. The board of directors is yet to sign off on details of the plan, which have not yet been fully worked out. The $3 billion state stem cell agency itself has no apparent financial problems, although the state is in the midst of a $28 billion budget crisis. The voter-approved law that created the agency guarantees a steady stream of cash that cannot be touched by either the governor or the legislature. But Klein believes that the federal guarantees would help the lending effort. "In terms of our financial interest, the loan guarantees that are being considered for a number of sectors of the economy could include the biotech sector. "And here, if there were a 50-percent loan guarantee provision for governmental loan biotech programs, it would mean that if we had allocated conceptually, and only conceptually, because it's subject to approval of every loan at that time at the board level, but if we conceptually approved a $500 million allocation for a loan program and there were a government program for 50-percent guarantee, we'd have the possibility, subject to a lot of detailed work and legal review, to create a billion dollar program with that. So it would substantially expand our capacity for funding." Klein brought up the proposal to seek "early input" from CIRM board members. However, the Finance Subcommittee ran out of time and adjourned without discussing the matter. He asked board members and the biotech community to send comments to him. Klein is also seeking to lobby the Obama administration on other biotech industry matters. They include removing unspecified small business loan restrictions, expanding the FDA staff and substantially increasing funding for NIH grants. "I believe it would be beneficial if some of those restrictions were changed to make it more possible for companies that have received venture capital funding in the past to get SBIC (Small Business Investment Corporation) loans because with falling stock prices, doing another round of stock offerings is not feasible unless you're going to hedge funds, which are extraordinarily difficult to deal with and create tremendous pressure on these small companies to the extent hedge fund money is available at all." "Everyone is going to need expert advice on exactly what kind of data and what kind of preclinical work is going to be required for an IND to be approved for a phase I human trial. That advice is required three years or more in advance because this is an innovative area. And so it's going to be an early priority with a lot of lead-time importance to get FDA expansion that can deal with cellular therapies as they advance." CIRM has not yet provided written background on Klein's proposal on its Monday agenda, which also includes a plan to help ease the problem of absenteeism at board of directors meetings. Alan Trounson, president of the $3 billion California stem cell agency, is minimizing the impact of President-elect Obama's plan to ease federal restrictions on human embryonic stem cell research. Trounson (see photo) was quoted today in a piece in the Wall Street Journal by Gautam Naik and Robert Lee Hotz. The article was headlined "Obama's Promise on Stem Cell Doesn't Ensure New War on Diease." This morning the story appeared prominently on the main page of the WSJ web site but on page A9 of the print publication. Trounson's remarks dealt both with the impact of California's research effort, now the world's largest source of funding for hESC science, and Obama's stem cell plans. "We are at such a high pace and we have so much funding ourselves that there will be no real competition to our leadership." "The incremental money from NIH will be relatively small because of the economy." The WSJ piece said that "two big questions" must be answered at the federal level. "How much federal money will be made available for the research? And how quickly can America's major science-funding agency, the National Institutes of Health, take on a leadership role in a field where it has only modest experience and whose funding efforts have lagged behind several state initiatives. "'To make stem-cell science take off, it needs something equivalent to Nixon's war on cancer,' says James Thomson, a stem-cell scientist at the University of Wisconsin who created the first human embryonic-stem-cell line in 1998. 'But because of today's economic realities, it's not going to happen for at least a couple of years.'" The Sacramento Bee said today that the board of directors of the $3 billion California stem cell agency is "is rife with potential conflicts," "overly large and unwieldy" and "awards multimillion-dollar grants in a manner that favors secrecy over accountability." The comment came in an editorial on last week's hearing by the state's good-government agency, the Little Hoover Commission, into the stem cell research program. "The most striking testimony came from Kenneth Taymor(see photo), executive director of the UC Berkeley Center for Law, Business and the Economy. "Taymor, who has been watching the institute's operations for three years, noted that nearly everyone on the institute's governing board – medical school deans, university officials – has some sort of financial interest in the grants being awarded. "The hearing revealed, once again, that this institute's 29-member governing board is rife with potential conflicts; that it is overly large and unwieldy; and that it awards multimillion-dollar grants in a manner that favors secrecy over accountability." "This is troublesome stuff, yet it doesn't appear the Little Hoover Commission will recommend sweeping structural changes, even though the institute still has more than $2 billion left to spend. "Downsizing its governing board, eliminating conflicts and stripping the institute's chair of operational authority would require a constitutional amendment to Prop. 71. Based on their discussion Thursday, members of the Little Hoover Commission don't want to go that far. "That's too bad. Without real reforms, Klein and his board will continue to operate like a club, spending taxpayer dollars without the normal safeguards of other public agencies." News coverage of last week's state Capitol hearing into the affairs of the California stem cell agency was quite light, with only one newspaper writing about the session -- at least based on an Internet search. Reporter Terri Somers of the San Diego Union-Tribune pulled together the single story on the inquiry by California's Little Hoover Commission, reflecting the importance of the biotech and stem cell industry in her area. The Sacramento Bee did not cover the event, but its Capitol Alert Internet service linked to Somers' piece. The meager coverage was to be expected. Other matters are consuming news organizations, which also are suffering from heavily cut-back staffs. Somers led with a statement by CIRM Chairman Robert Klein concerning the possibility of another bond measure to continue the work of the agency, which has only a 10-year funding capability. Another bond proposal could be placed on the ballot if the legislature approves or if it qualifies via the initiative process. Somers described Klein's "unflinching confidence" in the research enterprise and reiterated his familiar pitch that CIRM has been overseen to a fare-thee-well. "But what was perhaps most revealing were the areas of questioning by the commission members. They asked about the size of the institute's governing board, the transparency of its spending decisions, the ability of biotechnology companies to benefit from stem cell grants and the power and job responsibilities of Klein and (CIRM President Alan) Trounson. 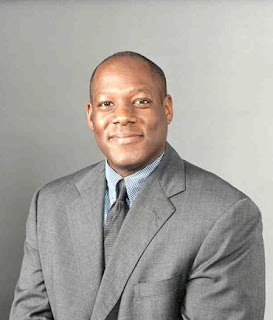 "'I'm concerned that there is an arrogance in how the funding is handled and the institute is structured,' said commission vice chairman Eugene “Mitch” Mitchell(see photo), a vice president of San Diego's Sempra Energy. 'I find it baffling that it is a state agency, but there are so many rules it doesn't have to adhere to.'" "Ken Taymor, a UC Berkeley law professor who has attended many of the institute's board meetings, said the public continues to be frustrated that funding decisions are still made behind closed doors. He also urged the commission to look at how power is divided between Klein and Trounson. "The board's size, at 29 members, makes it inefficient, said several observers. And it is unusual that it has no members whose sole interest is that of the taxpayers, said Michael Klausner, a Stanford Law School expert on nonprofit governance." "John Simpson of Consumer Watchdog, a Santa Monica advocacy group, suggested trimming the board's membership to 15 people with no conflicts of interest." Somers additionally reported that Trounson indicated that California businesses will do better on the next round of grants. He predicted that probably one-third of the tools-and-technology grant round will go to the private sector. Only one business has won a grant and that was for only $50,000. CIRM No-Pay Egg Rules: A 'Stem Cell Debacle'? A front page article Sunday in the leading newspaper in one of California's stem cell hot spots says that the state laws aimed at boosting embryonic stem cell research are also hobbling it by "creating a shortage of human eggs." The article was written by Terri Somers of the San Diego Union-Tribune, who follows stem cell business and research issues more closely than any other reporter in the state. The crux of the problem, she reported, is that Prop. 71 bans paying women for their eggs, creating what some believe to be a shortage. "'This is what I call the great stem cell debacle, and it's ridiculous,' said Dr. Samuel Wood(see photo), who founded Stemagen, a San Diego biotechnology company that is trying to create human embryonic stem cells through therapeutic cloning. "'The people of California passed Prop. 71 to fund billions of dollars worth of stem cell research including (therapeutic cloning) and then the legislators and leaders of the stem cell institute put guidelines in place that greatly hamper, or virtually eliminate, the possibility of this being successful.'" "The institute has distributed $614 million through 229 grants, but only one has involved therapeutic cloning. Several grant requests were denied after doubts were raised that the scientists would be able to obtain enough eggs, called oocytes, to conduct the research. "'It's clear that without having access to resources, in this case human oocytes, we cannot move forward,' said Shoukhrat Mitalipov, a University of Oregon scientist considered a leader in therapeutic cloning." Both Mitalipov and Wood had grant applications rejected by the California stem cell agency, Somers reported. But CIRM President Alan Trounson, Wood and Stemagen's chief scientific officer, Andrew French, co-authored a 2006 paper advocating cloning-based stem cell research, according to Jesse Reynolds of Biopolitical Times. Somers quoted David Smotrich, who runs La Jolla IVF, a fertility practice, as saying the average payment for buying eggs in California is $3,000 to $5,000 but sometimes higher. "Wood, who also runs a fertility practice in San Diego, conducted a survey of women who were egg donors for fertility purposes and found that 60 percent would consider doing so for research. All but one would expect to be compensated, at a rate of at least $3,000, he said. Wood hopes the survey will help change state law." "In 2006, the Legislature passed a law prohibiting payment for oocytes donated for research that is not funded by the institute. For that reason, the Legislature should address the issue, said Sheehy, a member of the institute's standards committee. Elected leaders could give the institute direction, he said." Earlier this year, Trounson raised concerns about egg shortages. In June, he said researchers are "floundering" because they do not have enough eggs. One Harvard researcher, Kevin Eggan, who serves on a CIRM panel, also complained last spring that a $100,000 advertising campaign on the East Coast seeking egg donors had been unsuccessful. The Associated Press has written about the problem as well in a story that circulated nationally. Recently Singapore, which has launched a major stem cell research effort involving top level American scientists, approved paying egg donors for their time as well as lost wages. CIRM rules allow reimbursement for lost wages but do not permit compensation for lost time. Patient advocate Don Reed is attempting to drum up a CIRM-sympathetic turnout at next Thursday's Little Hoover Commission hearing into the California stem cell agency. Writing on his blog, Reed also acknowledged he is on the payroll of the private lobbying group of CIRM Chairman Robert Klein, Americans for Cures. Reed, who is a vice president of the group, said he receives a "small stipend." Reed regularly speaks on issues before the CIRM board of directors during their meetings. "Personally, I am a little worried about making changes in something good. That is like going into the hospital for open heart surgery—when there is nothing wrong with you." "...I object to the choice of two critics as representing the entire consumer population of California. It is my understanding both men are paid lobbyists. (There is nothing wrong with that; they could make a similar comment about me. I work for a group called Americans for Cures Foundation, which supports stem cell research, and receive a small stipend from that organization.) But to choose such vocal critics without a balance is to ignore the 59.2% of California which voted in favor of Proposition 71." Some of the nitty-gritty of CIRM's proposed $500 million biotech loan program is scheduled to be revealed next week – a matter that may be a matter of great interest for financially starving stem cell companies. So far, all we have are cryptic agenda items, but more information may be forthcoming, hopefully in time for interested parties to give them a serious look well ahead of next Wednesday's meeting of the CIRM Finance Committee. "Consideration of policies and implementation plan/processes for CIRM loan program. "Consideration of Loan Advance Program for approval of grants and loans." We have yet to see a genuine business plan for the biotech lending proposal. And it is certainly a business and a risky one. Instead information has dribbled out over the last year or so, mostly becoming public only a day or two before the public meetings at which the proposal is to be discussed. One would hope that at some point CIRM Chairman Robert Klein, who originated the proposal, would put together a presentation of the sort that entrepreneurs typically submit to lenders and others when they are seeking cash for a start-up. For the latest iteration of the biotech loan program, see four documents from the September CIRM board meeting and the transcript of the session. Mike Goldberg, a venture capitalist and chair of the Finance Committee, gave a lucid explanation of the proposal, although it was interrupted intermittently. Next week's hearing is the last stop before the loan program goes to the full CIRM board for approval. "Consideration of California requests to the US Presidential Transition team for CIRM programs and for general biotech community financial support programs." The Governance Subcommittee of the California stem cell agency this Saturday afternoon will resume its attempts to deal with some unspecified, but obviously important personnel matter. The unusual, teleconference session has only one item on its closed-door agenda. The meeting follows another weekend meeting on Sunday afternoon Nov. 2. Don Gibbons, chief communications officer for CIRM, said no action was taken by subcommittee of CIRM directors on that date. A special teleconference meeting of the full CIRM board of directors had been scheduled for the Monday (Nov. 3) following the Sunday Governance session. But the full board meeting was canceled late that Sunday and has not been rescheduled. The board meeting included a personnel session along with a high priority change in quorum rules to alleviate an attendance problem at meetings of the full board. In response to a question, Gibbons said the Nov. 3 board meeting was canceled because "we determined it had been noticed incorrectly. " We asked him to elaborate. He replied, "There was an agenda item left off the ICOC(the CIRM board of directors) posting." The Price of Eggs – Singapore has made a move on the human-egg pricing front, providing cash for time and lost wages, something that CIRM does not permit on research that it funds. However, Jesse Reynolds of the Center for Genetics and Society in Oakland, Ca., does not believe Singapore's action provides much impetus for efforts to boost incentives for eggs for stem cell research. His reasoning? "The continued lack of success of cloning-based stem cell research, which would use the eggs, and the frequent strides in the alternative methods of cellular reprogramming." However, CIRM President Alan Trounson has warned that the shortage of human eggs is limiting research. Our opinion: If eggs have value, someone is going to pay for them – and maybe a lot -- whether they are in California, Singapore, Korea, China or Poland. Business and CIRM – The private sector is not giving up on CIRM despite the agency's rejection of all but one business grant application. Twenty-seven business filed letters of intent to apply for $60 million in translational research funding. Fifty-four applications came from non-profit enterprises. CIRM did not break that down between universities and research institutions. Ten grants are scheduled to be approved in April. Canadian researchers have an urgent deadline to register for the competition for a piece of possibly as much as $210 million in team-funding in an international effort involving the California stem cell agency. The collaboration is a Canadian-CIRM project (see item below) and is aimed at funding disease teams that will bring "an investigational new drug filing at the end of the four‐to‐five year grant." Canadian registration is required by Monday Nov. 17. The California stem cell agency said today that it will officially go international with an ambitious grant program that could run as high as $210 million. CIRM released an announcement today aimed at alerting the California and Canadian stem cell communities of this "potential opportunity" and to encourage teams to begin work to snag some of the cash. The collaborative funding effort involves the Canadian Stem Cell Consortium, which also participated in the joint announcement, and CIRM. The effort was ballyhooed last June but had few specifics. "Successful proposals will include a description of milestones on a path to an investigational new drug filing at the end of the four‐to‐five year grant." Funds are scheduled to be awarded next year. However, the specifics of the program have not yet been approved by CIRM directors, who are scheduled to take it up in December. Full Canadian approval is not yet in place as well. But both approvals are likely to be a formality. The announcement may raise questions about the use of California dollars in an international research project. However, under the law, CIRM cash can only be spent in California. CIRM officials have repeatedly said that CIRM grants will be only spent on the California side of international collaborative efforts. The announcement also raises another question about the fairness of the grant approval process in this case. Given the hooha about Canadian-California collaboration, it would seem that an application pegged to that effort would have an edge over competitors who only have a California program. At least, some other applicants might think so. But perhaps we're wrong. California's Little Hoover Commission will kick off its inquiry next week into the state's $3 billion stem cell agency with testimony from both its chairman, Robert Klein, and longtime outside observers of the unique experiment. CIRM President Alan Trounson is also scheduled to appear at the Nov. 20 hearing in the Capitol in Sacramento, following testimony by six other persons about what has become the world's largest source of funding for human embryonic stem cell research. The commission is a bipartisan and respected California state organization that analyzes state government programs ranging from juvenile justice to California state bonding practices and makes recommendations for changes, if warranted. The impetus for the commission's probe came earlier this year from legislation by Sen. Sheila Kuehl, D-Santa Monica, who heads the state Senate Health Committee. The inquiry will deal with issues of governance, transparency, accountability and the use of state bond funds, according to Stuart Drown, executive director of the commission. In addition to Klein and Trounson, the commission will hear from John M. Simpson, stem cell project director of Consumer Watchdog of Santa Monica, Ca., a longtime participant in and observer of CIRM affairs. Jesse Reynolds, director of the Project on Biotechnology in the Public Interest at the Center for Genetics and Society in Oakland, Ca., is on tap as well. He was on the scene during the Prop. 71 campaign and later. Ken Taymor, executive director of the Berkeley Center for Law, Business and the Economy at the UC Berkeley School of Law, and Michael Klausner, a Stanford Law professor with expertise in governance, are scheduled to appear as well. Taymor has also been on the scene at numerous CIRM meetings. The other two witnesses are Susan Bryant, a member of the CIRM board of directors and vice chancellor for research at UC Irvine, and Ralph O'Rear, vice president for facilities and planning at the Buck Institute in Novato, Ca. UC Irvine has received $51 million in CIRM grants. Buck has received $25 million. The commission has scheduled another public hearing for late January, but Drown says that meeting and next week's session are not necessarily the only public events. In response to questions, he said the commission "tries to create opportunities for many voices." Options include "advisory group meetings, site visits, focused discussions with experts – all of which would be open to the public," he said. "The commission welcomes written testimony from the public and provides a chance to speak at the end of the public hearing. Those opportunities should not be discounted, as they have, in some cases, been starting points of discussions with staff." CIRM has been wary of the commission's study, contending that it has been the subject of more than enough scrutiny. "We’ve had positive interactions with CIRM staff. They’ve been very helpful in providing documents and we’ve agreed on a process to how to best communicate with them, using Don Gibbons (CIRM's chief communications officer) as a point person, who then either responds or directs us to someone else. Initially, there was some uncertainty on their part about what we were after and hoped to achieve, and we sensed they were trying to fit us into the frame of what they’d already experienced. A group came up for a chat a couple of weeks ago and we walked through our process and gave them a sense of what our reports attempt to achieve. We explained that this isn’t an audit, but a study and an analysis." Drown also said that Klein and Trounson are last on the Nov. 20 agenda so that they have a chance to respond to earlier comments. The California stem cell agency said today that the timing of its news release on the resignation of Ed Penhoet as vice chairman had nothing to do with an earlier item on the matter by the California Stem Cell Report(CSCR). "FYI. Your second posting on Ed Penhoet makes it sound like your first posting prompted our release. It should have been clear to you from your time in Sacramento that our release was timed to the Lieutenant Governor’s announcement, and neither his release or ours had anything to do with CSCR." In a story that circulated today nationally and perhaps internationally, The Associated Press has painted a bleak picture for the stem cell industry despite the election of a president who is a friend of the cause. The news came on top of the even more unpleasant news that California is facing a $28 billion budget shortfall. The state's leaders are now in a position of holding out a tin cup to the federal government, enviously eying the $700 billion bailout for the private sector. California Assembly Speaker Karen Bass, the state's second most powerful elected official, did not exactly say, "Please, sir, can I have some," but her words were close. All this as the $3 billion California stem cell agency, which is constitutionally protected from budget woes, is looking to hand out tens of millions of more dollars in December and create a $500 million "bank," financed at taxpayer expense, to help struggling biotech companies. All of which may be good, but could lead to a ticklish image problem. What the PR and policy problem boils down to is this: The state slashes medical assistance to the poorest Californians while millions and millions flow unfettered to CIRM-funded researchers. "Experts say struggling stem cell developers will face a new, equally daunting obstacle: an investment climate devastated by the financial crisis." "The good news is there will finally be freedom to operate, the bad news is there will be no more venture capital, which is the real freedom." The AP story also said that investment in early stage stem cell companies was slumping even before this fall's financial meltdown. "Venture capital investment in biotech startups — which includes stem cell developers — has fallen more than 65 percent to $443 million in the most recent quarter, from a high of $1.3 billion in late 1999." "Even if one of these companies was going to be successful, I doubt you'd have a new embryonic stem cell product on the market in the next 20 years." The AP story appeared as California's Legislative Analyst posted a new estimate of California's budget shortfall -- $28 billion over the next 20 months. One recommendation from the analyst was for no new state borrowing, which could strike at CIRM's revenue source, California state bonds. Even before the new figure was released, State Treasurer Bill Lockyer said that the state will not be able to issue new bonds until 2009 because investors want to see how the state copes with its financial crisis. The fiscal mess is so bad that Jim Sanders of The Sacramento Bee quoted Assembly Speaker Bass as saying "can we have $5 or $6 (billion?)" from the federal government. The state's stem cell agency is all but immune from the California crisis because Prop. 71 locked in its funding sources and made it impossible for the governor or the legislature to cut its budget. However, if Lockyer refuses to issue bonds well into 2009, CIRM funding might hit a hard spot. It is not clear what CIRM's current financial status is, although its chairman, Robert Klein, told directors on Sept. 25 that CIRM's cash situation at that point guaranteed "that this critical work to reduce human suffering and advance medical science is able to move forward." "The scientists and clinicians and patients counting on our progress need not be concerned about our work being interrupted." "Maybe I should have drawn down three years of money." There is no doubt that research cannot be done without a reliable source of funding. Nonetheless, CIRM must carefully consider how its operations, with salary ranges that exceed $500,000 annually and huge outside contracts, may be perceived by the public or elected officials. It is a time to tread with great care. As for the $500 million biotech loan program, one could argue that it is needed now more than ever. At the same time, some might look askance at lending taxpayer funds to extremely risky ventures – ones that could not even find financing under the best of circumstances – while Californians who can least afford it will see health care, education and other vital services slashed. The lending program will not make the slightest dent in the state's economic travails. As we have noted before, CIRM's activities currently have an infinitesimal, immediate impact on California jobs and businesses. CIRM's annual giveaway does not even exceed the $356 million budgeted for a new "condemned inmate complex" at San Quentin prison. That said, the lending program, which is yet to be fully explained, could well be a good idea. The vice chairman of the $3 billion California stem cell agency, Ed Penhoet, has resigned from his post, but CIRM announced Monday afternoon that he will remain as one of the 29 members of the board of directors. We also queried CIRM early this morning on the matter, asking Don Gibbons, chief communications officer, for comment on reports that Penhoet was stepping down. No response was forthcoming from Gibbons on the matter. CIRM's press release, which has not yet been posted on its website, said Penhoet was stepping down because of "the time constraints of this leadership position." "However, Penhoet has accepted the appointment by Lieutenant Governor John Garamendi to one of the board’s member positions designated for the life sciences commercial sector." Penhoet was not quoted in the CIRM press release on the leadership change, which said that the co-founder of Chiron will continue to head the CIRM IP Task Force. The move clears the way for nomination of a new vice chair by the state's constitutional officers, such as governor and lieutenant governor. It is likely that CIRM Chairman Robert Klein will make suggestions for possible nominees. Former CIRM board member Tina Nova has been mentioned as a candidate, but she said earlier today that no one has approached her about serving in that capacity. She also said she has "no plans to return to the CIRM board." The full CIRM board must vote on the vice chair, selecting from the nominees. The post carries a salary of up to $332,000 annually. Penhoet did not accept a salary, raising a question whether the next vice chair will. If so, it also raises the possibility that Klein, who also has not accepted pay, will seek the $508,750 salary for which he is eligible. He has repeatedly said he may seek a salary at some point. "I am planning on writing an item that will say that California stem cell scuttlebutt has it that you are resigning as vice chair of the ICOC. Is that correct?" "I have no intention of leaving the board, David." "I may be parsing this too finely, but do you intend to imply that you would remain on the board but give up the vice chair position? Thanks." Penhoet did not respond to that question. We notified him early this afternoon that our original item had been posted but have received no further communications. Ed Penhoet, one of the co-founders of Chiron, has denied scuttlebutt in the California stem cell community that he is leaving the board of the $3 billion California stem cell agency and is stepping down as its vice chairman. "I have no intention of leaving the board." If Penhoet (see photo) were to resign as vice chairman, CIRM Chairman Robert Klein would like to replace him with Tina Nova(see photo), president and CEO of Genoptix, Inc., of Carlsbad, Ca., according to the scuttlebutt. However, Nova resigned in September from the CIRM board of directors, citing demands of her business. "I have no plans to return to the CIRM board. My business is demanding all of my time, that is why I resigned. I have not been approached about the vice chair position, and I have not spoken to Ed Penhoet for over three months." CIRM has not responded to an inquiry on the Penhoet/Nova matter. We will carry its response when we receive it. Given the firm denials from both Penhoet and Nova, one can only wonder how the subject came to surface publicly. Such talk usually has some sort of basis in fact, although it can become distorted as it passes around. It could also represent some sort of trial balloon on the part of persons interested in seeing changes made. As far as the mechanics of selection of board members are concerned, Klein does not have legal authority to either appoint or re-appoint board members or select a vice chair. Klein is also elected by the board. The vice chair and chair, who serve for a term of six years, are elected by the full board of directors from nominees offered by California constitutional officers, such as the governor and state treasurer. The usual season for prognostications for the coming year is the end of December. But Jesse Reynolds of the Center for Genetics and Society in Oakland, Ca., weighed in last week with a couple. "With the end of stem cell research as a political vehicle, its advocates are likely to temper expectations. They'll not just move out the goalposts on the timeline towards treatments, but the touted uses of stem cells will shift from potential cellular therapies to models of human diseases in Petri dishes and better drug testing methods. These new purposes will win fewer votes than "your own personal biological repair kit," but they are also much more realistic." "Even when President-elect Obama removes the Bush restrictions, federal funds will be available only to work with embryonic stem cell lines, not to create new ones. Grants for the latter are restricted by the Dickey-Wicker amendment, which would be left in place by both the repeatedly-vetoed stem cell bill and Obama's platform." 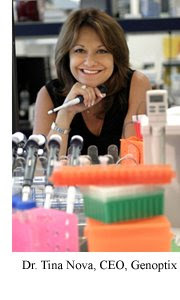 "...(T)he real message from this election cycle is the end of embryonic stem cell research as a relevant political issue. It was huge in 2004, present but marginal in 2006, and seemed comatose with the 2007's failure of New Jersey's stem cell funding initiative. In this cycle, the topic made barely a peep. "Hopefully now work can proceed in concert with a level-headed conversation about the true potential of stem cell research and the real challenges posed by human reproductive and genetic biotechnologies." Signals are emerging from the Obama team that the president-elect will move quickly to overturn President Bush's restrictions on federal funding for human embryonic stem cell research. However, that may not necessarily translate to a rush of big dollars at the national level. On Sunday, the leader of Obama's transition team, John Podesta, indicated that the president-elect would move quickly with executive orders that do not require Congressional action, which can drag on for months if not years. Podesta mentioned stem cell research specifically as one area that Obama could move on immediately. "Do what you got elected to do." He said "bucket No. 1" for the Obama administration would be children's health care. Second comes ending restrictions on stem cell research. Third is an economic recovery package. Earlier this year, CIRM Chairman Robert Klein speculated that the Obama administration, beset by a host of enormous issues, would be slow to act on stem cell research. Klein suggested that Congressional action would be needed. While that does not appear to be the case at this point, transition teams sometimes have trouble getting their act together and priorities can change. What is certain is that the NIH is suffering from a financial squeeze. Until that squeeze is relieved and the necessary bureaucratic grant-making procedures are completed, don't expect to see large sums flowing into human embryonic stem cell research from the feds. Plus, other worthy scientific research will be fighting for the dollars that might go to the stem cell cause. Today's attempt to deal with the perennial problem of attendance at meetings of directors of the $3 billion California stem cell agency was postponed Sunday on short notice. A special teleconference meeting had been scheduled for today on the issue, but late Sunday the agency said the session had been postponed. No reason was given for the delay. No date was set for a future meeting. The cancellation notice followed a closed-door meeting of the directors' Governance Subcommittee on Sunday afternoon. It was the Governance panel that had come up with a proposal to to help solve the attendance issues, which have made it difficult to maintain the supermajority quorum needed to do business legally. The plan would allow, on a limited basis, participation of directors via telephone. "Where are the cures?" is the headline on the piece in the Nov. 10 issue of Newsweek. The article by science columnist Sharon Begley virtually cried out for a sidebar on California. Begley wrote about the "valley of death," translational research and the need for industrial skills that can make the production of stem cell therapies economic. She quoted Hans Kierstead of UC Irvine, mentioned Geron of Menlo Park, Ca., as well as a proposal to create a "center for cures" at the NIH. Along the way, she noted that scientists involved in basic research are wary of the "center" proposal – a feeling that has surfaced indirectly at the California stem cell agency. "The existence of such a center would free scientists to go back to making important discoveries, not figuring out large-scale pipetting, for goodness' sake." All of what Begley wrote about is on the $3 billion plate at the California stem cell agency. And some of the CIRM actions are coming quite soon. The "valley of death," for example, is scheduled to be dealt with next month through a $500 million lending program. Waiting for action from the new presidential administration is not good enough for CIRM Chairman Robert Klein and company. "There is lots of talk these days about increasing the nation's spending on infrastructure, such as roads and bridges, to lift the economy out of its doldrums. Me, I'd be willing to put up with potholes in exchange for a new administration spending serious money to take the discoveries taxpayers have paid for and turn them into cures."